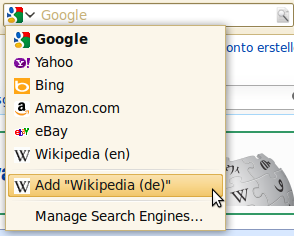 Now you can add the websites internal search engine automatically to Chrome and easily to Firefox and Internet Explorer 8+. Internet Explorer 9 seems not to support OSSD. For Chromes autodiscovery you will need to add an input fild with "type=search" or "name=s"
It is not necessary for Chrome that the user can see the form (display:none with CSS) nor that it the site start page is loaded long (meta redirect after 0 seconds). With OSSD you can manage more than one internal search engine. 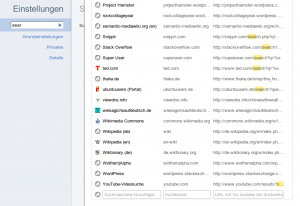 David Walsh: Add Your Website to Firefox’s Search Bar Using OpenSearch XML.